I honestly don’t know which movie to look forward to the most! The new ‘Star Wars’ trailer has everything you’re looking for; fore-boarding narration (I could have sworn the opening voice-over was Benedict Cumberbatch)! New land-speeder from ‘A New Hope’ crossed with ‘Return of the Jedi’s speeder-bike! Cool new droids! 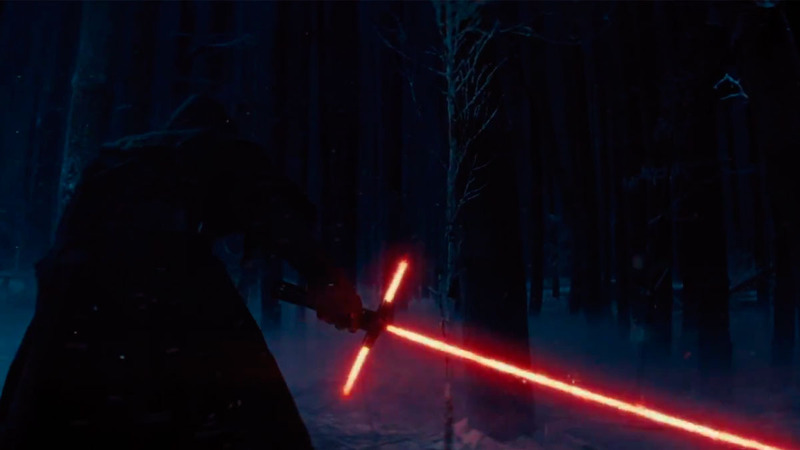 A new kind of lightsaber in the hands of a possible villain on what also looks like a new planet! Stormtroopers old an new (that aren’t clones)! And the planet that started it all; Tatoonie ! Lots of classic fighters in this trailer. 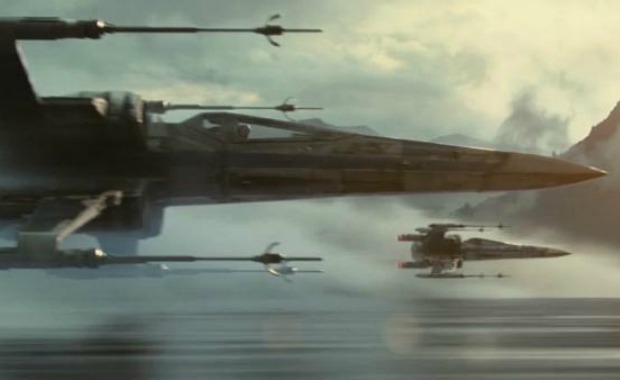 Most importantly, we see the next evolution of Star Wars space-ship battles. The prequel trilogy was vastly short on fighter-ship on fighter-ship action, whereas this was the original trilogy’s bread and butter from the original Death Star run to the final… Death Star run. J.J. Abrams and his team have revolutionized the look of classic ships flying, whether it be three X-Wings skimming across water (with a much more intense cockpit shot than we are used to), or an almost go-pro shot of the Millennium Falcon vs. classic Tie Fighters in an action scene with crazy awesome camera moves that looks unlike anything we have seen in a ‘Star Wars’ movie or even J.J.’s two ‘Star Trek’ films. It’s almost like the fluid camera that follows Spidey when he web-slings in ‘Amazing Spider-Man 2,’ which may have been a disappointing movie but had the most impressive web-slinging to date. Revolutionary combat shots above the surface of Tatooine. All it is missing is the classic team of Han Solo (Harrison Ford), Leia (Carrie Fisher), Luke (Mark Hamill), and Chewie (Peter Mayhew). And the droids! 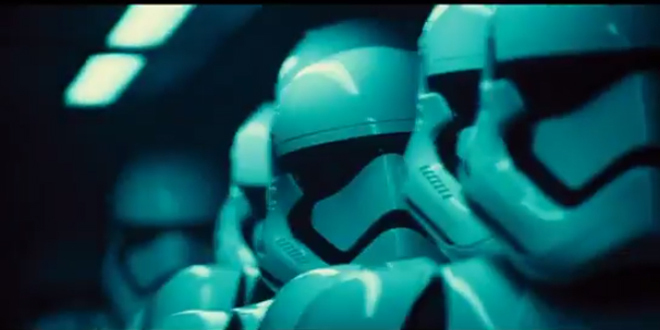 No R2-D2 or C3P-O in this trailer, yet they have been a big part of all the preceding films. We’ll see all these old friends in the movie, but the trailer is smart to give us first glimpses of the new characters, as it seems they will be leading the show with the old cast serving as supporting actors. That being said, maybe it is Luke in that snowy Forrest with that cross-joint lightsaber (you know… the joint from ‘Pineapple Express’). Either Luke has turned to the Dark Side, or it could be a completely different, new villain like Darth Maul. 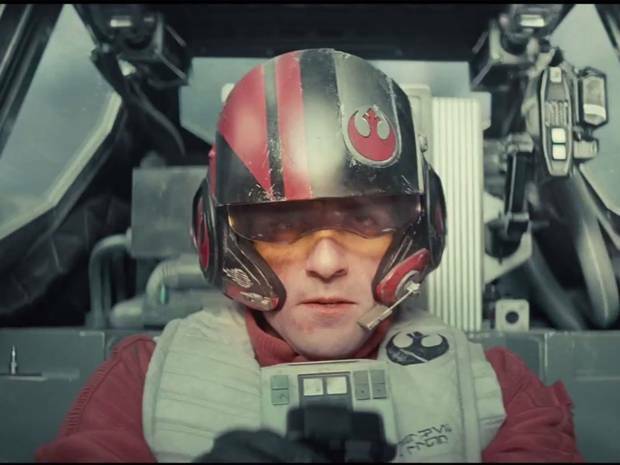 But in classic Abrams fashion… we really have no idea what is going on yet, in this scene or the rest of the trailer. All I know is it looks like classic ‘Star Wars’ made in the 21st century with ships we recognize; not the shock of the prequels with almost no familiar elements). Luke, or not to Luke? I also saw no CGI character that Andy Serkis may play. This is the teaser-trailer though, my friends. The movie is a year away so there will be many more trailers before December 2015. 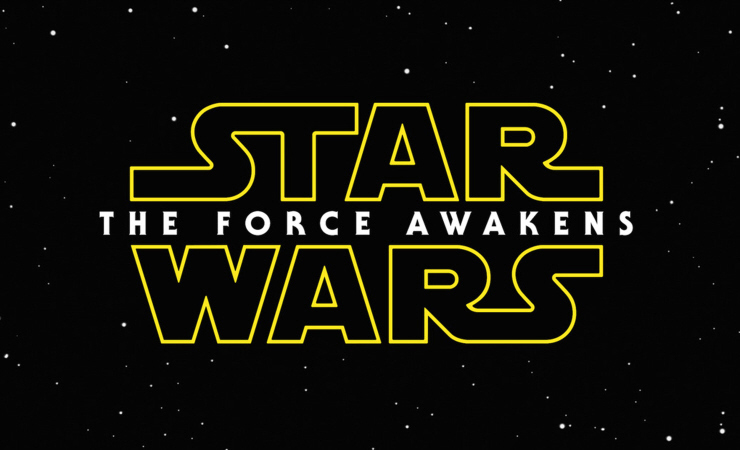 The final interesting choice is one I noticed when the title logo was unveiled; the new film is not being called ‘Star Wars: Episode VII: The Force Awakens’ at this moment. Rather, Disney and Abrams seem to be avoiding putting the episode number in the title at all, thus far. This may get confusing with all the solo-movies coming out alongside the new trilogy, unless, perhaps, they are meant to blend together and the numbers no longer matter? Speaking of ‘Mission: Impossible’ we’ll have a fifth one of those December 2015 also; a movie promising a stunt that will make Dubai Tower look like breaking into Langley! Time to get excited, geeks! The biggest year of geek is coming my friends. Make sure to pack an extra pair of undies. Previous ‘Jurassic World’ trailer is here! Chris Pratt hunts a monster. Fine 2015 lineup of classic movies with new renditions. Clean undies, indeed!